"Best I've ever had", Quote from one of my regular BBQ guests. This was a big departure for me. I am pretty well known for my Smoked Beans around this little corner of the Cul de Sac. 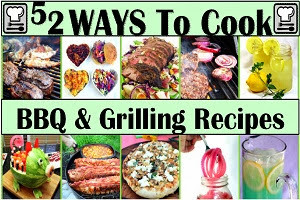 I have a favorite recipe that I use whenever I am smoking Ribs, Pulled Pork or Brisket. The extra very wet ingredients helps add moisture to the kettle as I smoke. But for my Labor Day BBQ I was after a sweeter bean dish than what I normally serve. I was entertaining families with kids and their parents that were not always fans of spicy BBQ food. I have been wanting to try this recipe for a long time. The big sweetener is a bottle of Root Beer. As the soda simmers and reduces, the thick syrup that remains did a spectacular job of adding just the right amount of sweetness to the pot. I must confess that I did indeed enjoy these, I prefer my standard Smoked Pork and Beans simmered in Beer (real, not root). But I do add an awful lot of extra spices to that pot that are somewhat intimidating for people not fans of BBQ (really, there are a few). And especially if I were serving to a bunch of children, this is now my goto recipe. Made easy in a crock pot with only an occasional stir, this comes together in only a few minutes. 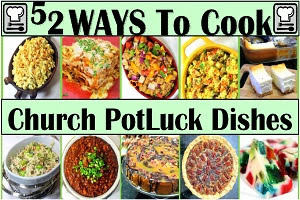 Since I made it in the slow cooker, it is easy to transport to any Church PotLuck, family gathering, or friends homes for a get together. Oh and the kids at the BBQ loved the idea of eating Root Beer (be sure to have an extra couple of bottles on ice for the kids). In a large Crock Pot slow cooker, combine all the ingredients except the bacon and garnishes. Stir to combine. Set on low and slow simmer covered for 8 hours, stirring occasionally. Check thickness after 8 hours. The "gravy" should be thickened and coating the beans. If not, set on high, uncover and add a small can of tomato paste. Simmer on high until the gravy thickens. Just before serving, stir in the chopped bacon, saving a few pieces to add as a garnish and finally, just before serving, top with the greens.